We wanted to share our marbling instructions from STUDY: The Sea Issue with you because they are too lovely to keep to ourselves! 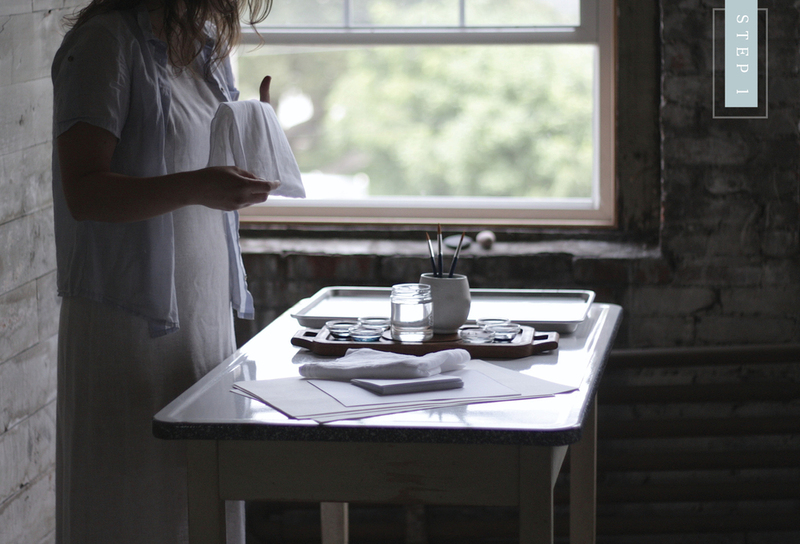 Two talented ladies in Pennsylvania spent an afternoon making and photographing the process. The blues remind me of crashing waves on old rocks. I can't get enough! Enjoy this tutorial and if you happen to be the instagram type, tag us so we can see your lovely work! Fill a shallow tray two-thirds full with water. Choose two of your ink colors. Place 10 drops of each color into two separate bowls or palettes. 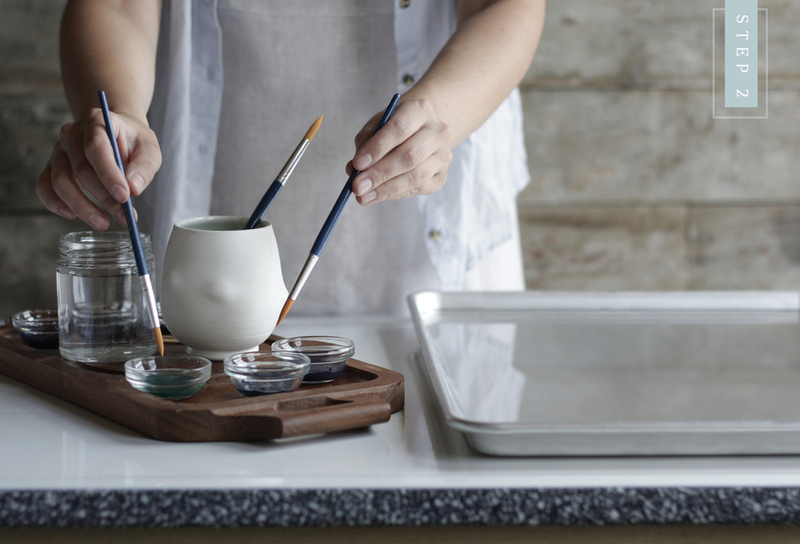 Place one brush in each color, allowing the paint to soak up into the bristles. Take the first brush and lightly touch the tip of it to the surface of the water. You will see the ink spread out on water’s surface in the shape of a circle. 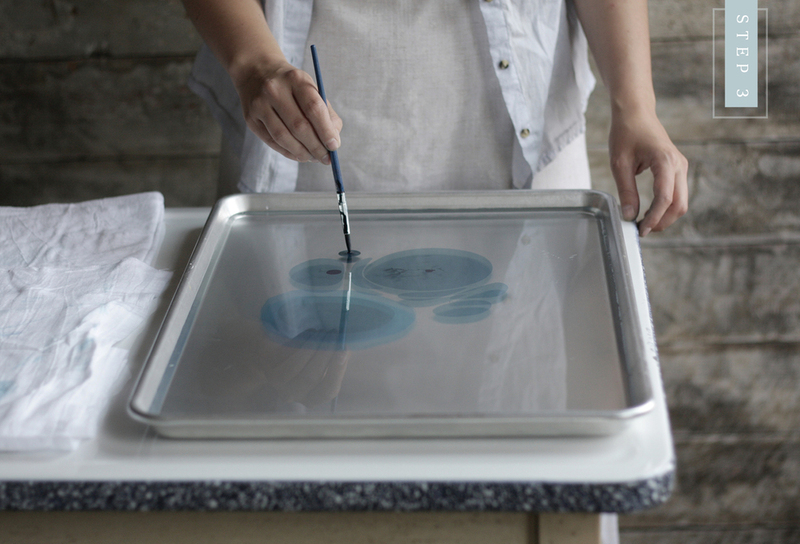 Then take your second brush and touch the surface of the water again at the center of the first circle. Alternate between the two brushes, reloading the brushes with more ink as needed. This is where you can really get creative with the pattern. Drag the end of the paint brush across the surface of the water to create a different pattern. To make more prints with the same water tray, clean the excess ink from the water’s surface by dragging some newspaper scraps across the water. For gift tags, we took white scraps of paper and dipped them in the water right after pulling a print out while some of the ink was still on the surface. The remaining ink would marble the bottom edges leaving white space to write your "to" and "from."